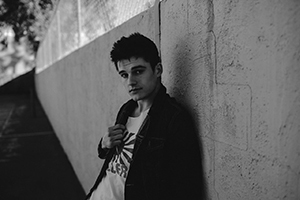 Kenny Holland is a singer-songwriter & entertainer raised in the music scene of Arizona. He began his musical journey with piano lessons at the age of 8. After he started to perform professionally at the age of 14, he released his first pop album at age 16. Today, Kenny has been a part of numerous widely known projects, toured with world-renowned artists, and retains a following that numbers in the millions. He’s excited to be back at the studio where he studied personally with Kirk and work with up-and-coming artists.